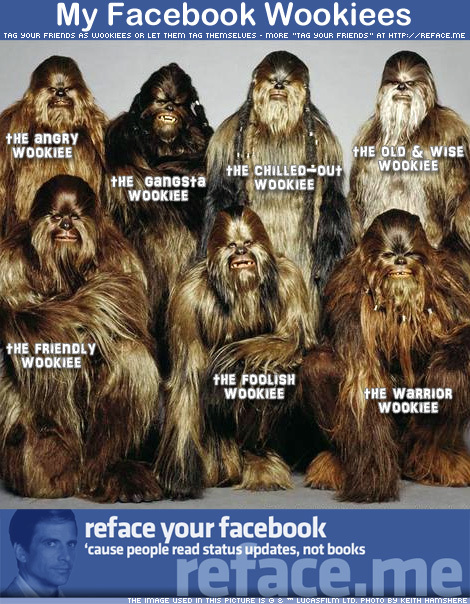 I’m sure that Chewbacca isn’t the only Wookiee you know… With this new “tag your friends” picture, you can tag up to seven of your Facebook friends as Wookiees, the race of hairy bipeds from the Star Wars movies (often just spelled “Wookie”). Right-click and save the image below to your computer. 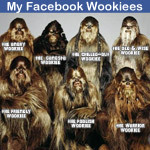 Become a fan of Chewbacca, the original Wookiee (980 fans at the time of writing). Posted by Pieter on February 28, 2009 at 4:52 PM. Use this trackback if you're linking this story.